I’m lucky enough in my writing journey thus-far to have one book published with digital publisher, Escape Publishing (my debut novel His Brand Of Beautiful); and a novella (The Goodbye Ride) and a second novel (Fairway To Heaven) that I chose to self-publish. I’m always asked by writing friends, and reader friends about my decisions to opt for self-publishing. Mostly these have been to do with the timing of my books. For The Goodbye Ride, it was written for the June long weekend (the Queen’s Birthday long weekend) and it was ready in May. For Fairway To Heaven, it’s a summer book, written for January/February and I had it ready in December. So the decision for me was about timing. Unfortunately, it takes a long time for a publisher to appraise your book and decide if they will accept or reject or ask you to revise it, and it takes further months from any decision to accept it for publication, before it gets through the process and gets published. And I’m impatient. Yes, there… I’ve said it. It is so nice having got to the end of the writing process, having bought a customised cover, to actually hit that ‘publish’ button and get your book out there. Something I like about self-publishing is it removes the awful roller-coaster that is the path to publication. There’s no more ‘will the editor like it, will he/she take it… wait for that email, and wait, and wait some more.’ There’s so much waiting in writing. And did I tell you I’m impatient? So, having said all that, here’s my big news. I’m about to tell you that Escape Publishing, with editor Kate Cuthbert, recently agreed to publish Fairway To Heaven, and this weekend I’ll be signing the Contract to let Escape do exactly that. It means I’ll be removing Fairway from cyberspace, hitting that ‘unpublish’ button that I pressed so happily about 9 months ago, and waiting another possibly six months before Fairway (or it may be called something different at the behest of Escape) again gets launched to the world. It will have a different cover. It may have a different name. And it may not even be quite the same book, as it will go through another editorial process on the way. But given the lovely Kate responded to me with the words: “It’s great”… I’m hoping any changes will be minimal, captain. So how did it come to this? Here’s what I can nail it down to. a) Tax Time. This was the big one. July 2014 gave me a huge eye-opener. I had payment receipts from Amazon US (US Dollars and they have a different reporting year/tax year to Aus). Some of the payments were cheques. It cost me $15 per cheque to bank into an Aussie bank (NAB). The Goodbye Ride is $2.50 (AUS) and I get 35% of that from Amazon so you imagine how many books I have to sell just to pay to bank their cheque! Now at least Amazon pays me direct into my account but it was like pulling teeth to get that to happen. Tax Nightmare! Compared with this the Escape royalty statement that spells out sales and earnings for His Brand Of Beautiful was an absolute breeze. b) Sales. Yep – that old chestnut. I believe in my book 100% and both Fairway To Heaven and The Goodbye Ride have excellent reviews, not all written by my mother or sister. (In fact, neither my mum nor my sister have ever written me a review. Note to self!) Could the sales be better? (Yes!) What might make the sales better? c) Marketing. I paid attention to a few social media discussions with book marketers going back a while and they tell me that if reviews are solid, the next thing to look at is the cover. I love both my covers for Fairway To Heaven and The Goodbye Ride, but are they exactly right for the demographic? That’s the question I have to ask, and I’m prepared now to test it with the experts. What about the title? Fairway To Heaven works for me and it just felt right… but does it label the book a sport/golf book? And does that mean prospective buyers are looking at my book and thinking they don’t like golf, so they won’t enjoy the book? Have i missed sales because of either the cover, or the blurb, or the title? Probably. I have enjoyed being able to test promotions, such as the ‘free’ promotions with Amazon Kindle Direct. They are great fun to do because it’s so nice to think how many of your books are flying free off the ‘virtual’ shelves. But at the end of the day you’re giving your work away for free. So where’s the return in that? d) Costs. I’ve spent about $600 combined on the covers for both my self-pubbed books. I paid $90 to lovely Marion Archer, Marion Making Manuscripts who beta-read Fairway for me – her feedback was gold and she’s worth every cent. I did the editing myself, but I’m an editor by trade. I paid $90 to get Fairway formatted for Kindle and for Smashwords (which feeds to iTunes/Nook/Kobo etc). With The Goodbye Ride I did this myself, but Goodbye Ride was only ever on Kindle. Smashwords is harder to get the formatting right. I didn’t ever spend money on things like Netgalley (I couldn’t afford it), or FB ads. That investment is gone now – I’ll never get it back. But if I stick with the status quo because I’ve sunk money into it, where does that leave me in another year? Still wondering what might have been? e) Control: Lots of authors say to me: don’t you love being able to control everything? The blurb. The cover. The marketing. The title? They tell me: “I do all this marketing and promotion and my publisher expects that, and my sales are still lousy. So tell me what the publisher actually does for their cut?” Control is good. But remember – if you have all the control and your sales are still lousy… you only have yourself to blame. It’s human nature to find the grass greener on the other side. f) Quality: I think self-pubbed books can get let down by the mass of badly (or non-existently edited) crap that is out there! It’s easy to get tarnished with the same brush. I could let things roll along. I could change nothing, and I could continue to feel that my self-pubbed sales could be better, or that I could/should do more to promote them. I also know that having Escape select my book(s) for publication alone will not guarantee me improved, or even ‘good’ sales. They are taking a risk too. The entire business is a risk. My expectations are much different now, a few years along, than when I first got that wonderful ‘call’ that my debut book had been accepted for publication. There’s no going back. Once I sign that Contract this weekend, Fairway To Heaven leaves my control. Pretty much forever unless sales are so abysmal, Harlequin decide in about 7 years, they don’t want it anymore. Meanwhile I’m ‘writing the next book’. It’s a follow up to my debut His Brand Of Beautiful, not with related characters, but with the title, currently: Her Brand Of Bargain and because it’s back to the wine industry/vineyard-set books of both His Brand Of Beautiful and The Goodbye Ride. It has always been in my mind to write this book with view of offering it to Escape. All this is just my opinion, and it’s only my view… but it’s been a long decision and not taken lightly. I can’t wait to see what Escape come up with for Fairway’s cover and blurb… and it will be fun to see what new readers might make of my book about Jenn and Brayden on a Busselton beach. Meanwhile, they’re waving goodbye, until sometime in the new year. First of all, congratulations!!! Fantastic news!!! Secondly, thanks so much for writing this post. I think it’s an issue we all wonder about and it’s great to get the perspective of a writer who has been on both sides of the fence. Thanks Lisa, you’re a sweetie for stopping by. Congratulations, Lily, and thoroughly deserved. I think it’s an excellent decision because it’s an excellent book and it will sell, I’m sure. PS/ I’m put out that our blog interview didn’t cause Fairway to fly off the virtual shelves! I loved our blog interview! Your attic is a wonderful place and never let anyone tell you otherwise! That is fantastic news! 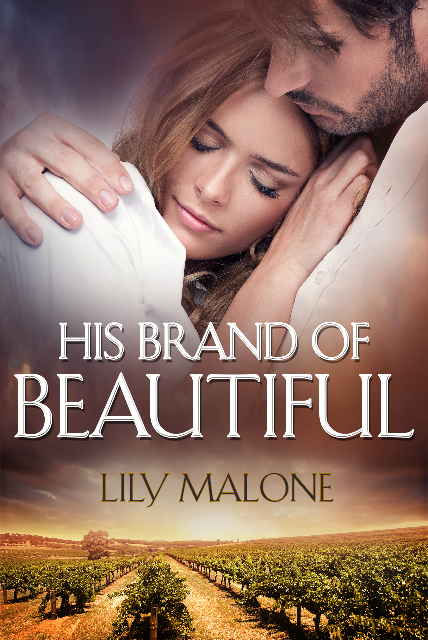 Not only because your writing is so good, but because, it means someone listened when I put it out there: “Here’s a writer who has a bright future in the romance field … somebody sign her up, quick!” (Fairway to Heaven review, Write Note Reviews). Congratulations!!! I’m so glad Kate loved Fairway. Hope other Escape readers do too. I’m with Lisa in thanking you for sharing so much in this post. It’s stuff I’ve talked about with others but have always been undecided about. I remember finishing DD about the same time you did Fairway, and Fairway was up and out before I’d even heard an acceptance/rejection…and being impatient, I wondered if I should have gone the self-pub route. But I’m interested in writing. I’m not fond of all the rest associated with releasing a book. Blurbs do my head in. Covers I’m so indecisive about. Marketing is my nightmare. Pricing and sales is so far out for me that I cringe when I think of it. So thanks for sharing your experiences. I must bookmark this post so next time I’m wavering, I’ll come and read your wisdom and try to be more patient!! Good luck with Fairway #2 release. I think the answer is, that there is room for both (self pubbing & digital). For me – I think print is where things are at, and I’m aiming for that. Thanks as always for visiting lovely Cate. Congrats Lily! I loved Fairway and Goodbye Ride and I know that Escape readers will too. Thanks for writing this post, it is certainly something have thought about on and off. I am with Cate – love writing but really dislike marketing. It’s great to hear an unbiased account from someone who has done both. I need to learn patience! Yay! I’d be interested in hearing all about the process of getting Fairway ready to go. Congratulations Lily! Why wouldn’t they jump at it!? I still think of Brayden and that squid ink!! Look forward to see what the marketing gurus do! And it’s wonderful that you can be so honest and share the nitty-gritty of your vast experience – always so generous with your time when it comes to supporting authors trying to learn the ropes. All the best possible for its release, and can’t wait to read Her Brand of Bargain! Congratulations on the contract … and yes, I agree, self-publishing isn’t all that fancy ….